When the Duke of Linz is jilted he decrees all would-be lovers must first obtain a license to woo. Youngsters caught kissing must promptly be married or imprisoned for life. But Greta, the singing girl, and her Count Otto prevail on the Duke to live and let live. 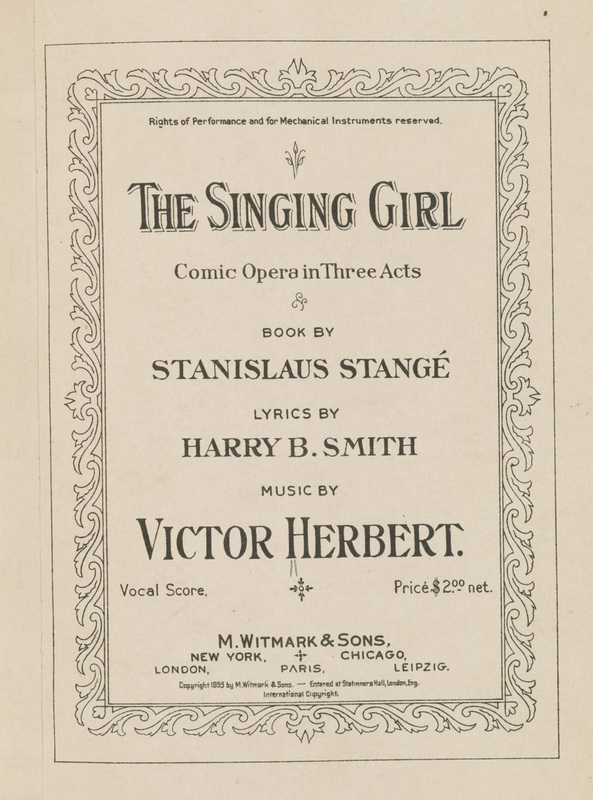 The Singing Girl was a popular musical written in 1899 by Victor Herbert (Babes in Toyland). Junior Theatre produced a shortened version, The Singing Girl: a Chinese Comedy in Two Acts, adapted by William Waldron for children’s theatres. This community outreach production featured the senior students of the Summer of 1951 Theater Workshop. Produced by The Junior Theatre Wing and the City of San Diego Park and Recreation Department, this play went on tour and was presented at ten playgrounds throughout the city. The Singing Girl: A Comic Opera in Three Acts presented through special arrangement with M.Witmark and Sons, New York. Production sponsored in part by the San Diego Community Theater, the City of San Diego Park and Recreation Department, and the City of San Diego. Source: “Junior Theater Presents Two Balboa Dramas,” The Aztec, 13 Jul 1951, pg 3.